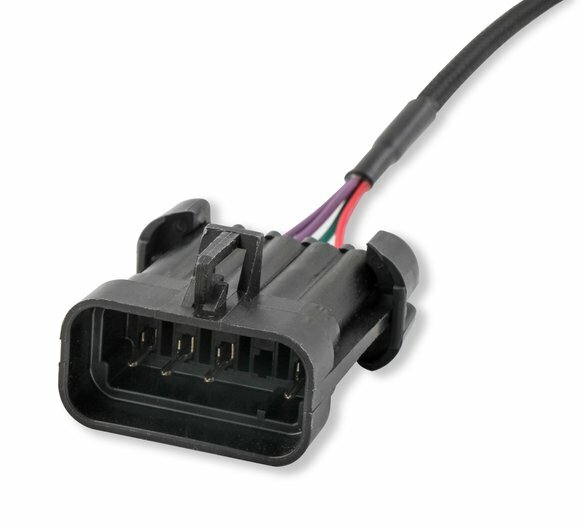 When utilized with Sniper EFI, Ignition Adapter 558-493 is Required! 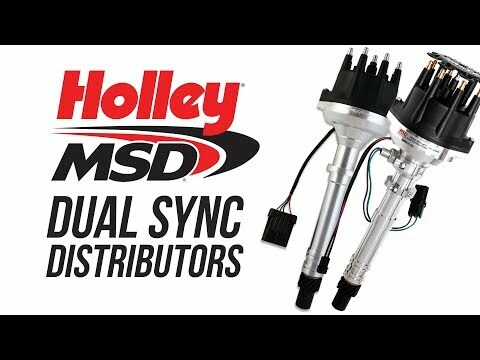 Introducing the next generation of Holley EFI Dual Sync Distributors, the new design features an improved shutter wheel, high-quality dual Hall Effect sensors, and an MSD cap and rotor! While these distributors are designed to be used primarily in sequentially injected installations, you can easily use them as a crank trigger for TBI system also. The precision machined shutter wheel design ensures accurate timing, even at very high engine speeds. The Gen 2 Dual Sync also included a QPQ coated shutter wheel for superior corrosion resistance, and the wheel has been pinned and welded to the shaft for increased reliability. These distributors can also be used with other EFI systems that support Hall Effect crank and cam sensor inputs. Do you need to a bronze gear for your billet cam? 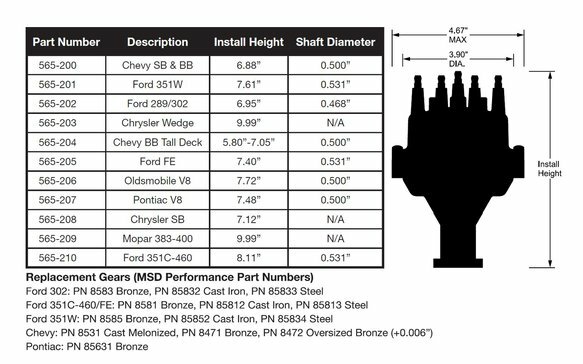 No problem, these distributors maintain MSD shaft diameters, making it easy to source a bronze gear!